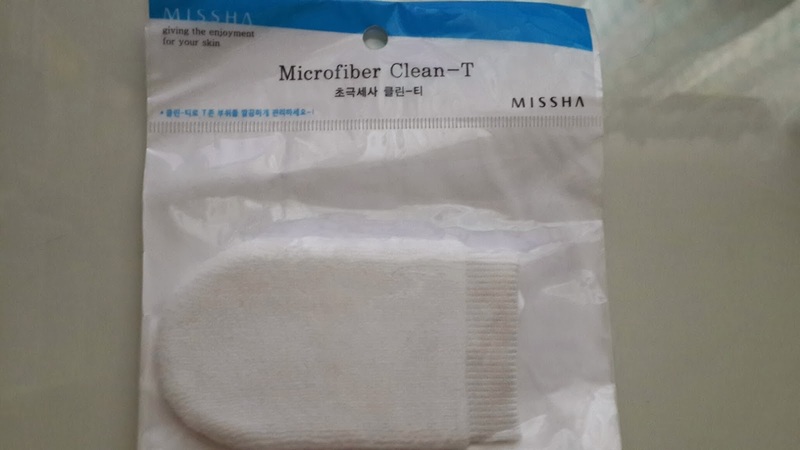 Today i'll be reviewing the Missha Microfiber Clean-T. 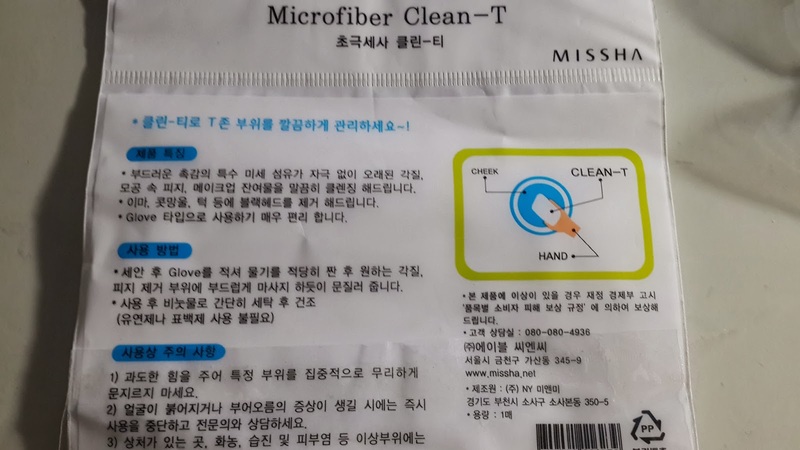 I had no exact instruction to what this product did, it looked like an exfoliation glove of some sort and all the Korean on the packaging didn't help. I've used previous exfoliation gloves/microfiber towels before and tend to find them a bit dry and hard to use over time. The back provided an easy to understand diagram depicting cheek, clean-T, hand. So i'm pretty sure anyone could've understood that! My first use of the product was good, my skin felt softer and exfoliated. I used it gently on my face after i cleansed or even in the shower as the heat opened up my pores. However, like other exfoliation gloves, this isn't a product that can be used over time. The microfiber clean-t can easily wear out after a few uses. This product didn't feel like it dried my skin, i ensured that after exfoliation - i used toner and moisturiser. This glove is definitely easy to use. Would i purchase again: Maybe not. I feel like my other scrubs/exfoliators can do the same job and probably be less dry than using this and will last longer.